Eric graduated from the Royal College of Surgeons in Ireland with a Bachelor of Science in Pharmacy. He also is a graduate of the International Pharmacy Graduate Program (CPS I and II). Eric has passed the Pharmacy Examination Board of Canada's Evaluating and Qualifying Exams and the Ontario College of Pharmacists Jurisprudence Exam. In March 2011, Eric opened the doors of Tobia’s Guardian Pharmacy with the goal of providing frontline healthcare to the patients of the Land O’ Lakes region and to date that goal hasn’t changed. Our legacy is to be the go-to destination for all your pharmaceutical needs. 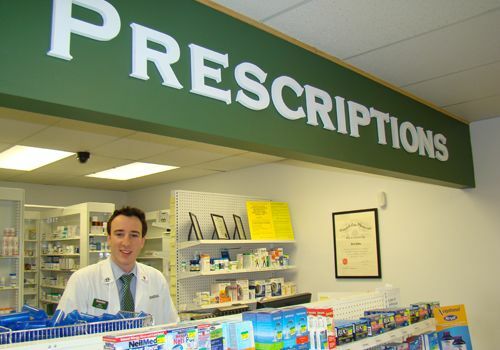 Eric hopes to make his pharmacy a local health care destination by focusing on patient care. He also is concerned about those just travelling in the area and would like to provide services to visitors as well. We are very active in the community, sponsoring several programs and charities.